•	Patient engagement and patient oriented research: Chronic pain research priority setting; patient-reported outcomes; stakeholder engagement. •	Mindfulness-based interventions for chronic pain: Improving quality of life and reducing pain related disability among various chronic pain populations; understanding how mindfulness affects the brain, the body and the mind. Dr. Patricia Poulin is a Clinical Health and Rehabilitation Psychologist at The Ottawa Hospital Pain Clinic, an Associate Scientist at the Ottawa Hospital Research Institute, and a Clinical Professor at University of Ottawa within the Faculty of Graduate Studies – Department of Psychology, and the Faculty of Medicine – Department of Anesthesiology and Pain Medicine. She engages in supervision, training, and mentoring in each of these roles. Dr. Poulin is also one of 15 principal applicants responsible for the Chronic Pain Network (CIHR Strategy for Patient Oriented Research Network in Chronic Diseases) and is the lead investigator for network research conducted at The Ottawa Hospital Pain Clinic. 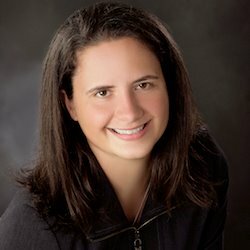 Similar to that of her research interests, Dr. Poulin’s clinical focus is on addressing the psychological concerns of people living with the complexities of chronic pain through an integrative approach, incorporating mindfulness, acceptance and commitment therapy, cognitive-behavioural therapy, and emotion-focused therapy as well as self-care practices as appropriate. Her clinical approach is trauma-informed and patient-centered. Committed to service contributions, Dr. Poulin has been a reviewer for multiple grant panels (e.g., Canadian Breast Cancer Foundation, Canadian Institutes of Health Research) and peer-review journals (e.g., Canadian Journal of Anesthesia), is a member of the Ottawa Health Science Network Research Ethics Board, and sits on various other committees. Poulin, P. A., Nelli, J., Tremblay, S., Small, R., Caluyong, M.B., Freeman, J., Romanow, H., Stokes, Y., Carpino, T., Carson, A., Shergill, Y., Stiell, I.G., Taljaard, M., Nathan, H. & Smyth, C.E. (2016). Chronic pain in the emergency department: A pilot mixed-methods cross-sectional study examining patient characteristics and reasons for presentations. Pain Research and Management. doi/10.1155/2016/3092391. Poulin, P. A., Romanow, H. C., Rahbari, N., Small, R, Smyth, C. E., Hatchard, T., Solomon B. K., Song, X., Harris, C. A., Kowal, J., Nathan H. J., & Wilson, K. (2016). The relationship between mindfulness, pain intensity, pain catastrophizing, depression and quality of life among cancer survivors living with chronic neuropathic pain. Supportive Care in Cancer, 24(10), 4167-4175. Hatchard, T., Mioduszewski, O.,Zambrana, A., O’Farrell, E., Caluyong, M., Poulin, P. A., & Smith, A. M. (2017). Neural changes associated with Mindfulness-Based Stress Reduction (MBSR) training: Current knowledge, limitations, and future directions in neuroimaging research. Psychology & Neuroscience, 10(1), 41-56. Liddy, C., Smyth, C., Poulin, P. A., Joschko, J., Rebelo, M., & Keely, E. (2016). Improving Access to Chronic Pain Services Through eConsultation: A Cross-Sectional Study of the Champlain BASE eConsult Service. Pain Medicine, 17(6), 1049-1057. Hatchard, T, Lepage, C, Hutton, B, Skidmore, B, & Poulin, P. A. (2014). Comparative evaluation of group-based mindfulness-based stress reduction and cognitive behavioral therapy for the treatment and management of chronic pain disorders: protocol for a systematic review and meta-analysis with indirect comparisons. Systematic Reviews, 3(134). doi:10.1186/2046-4053-3-134. Caluyong, M. B., Zambrana, A. F., Romanow, H. C., Nathan, H. J., Nahas, R., & Poulin, P. A. (2015). The Relationship Between Mindfulness, Depression, Diabetes Self-Care, and Health-Related Quality of Life in Patients with Type 2 Diabetes. Mindfulness, 6(6),1313-1321. doi:10.1007/s12671-015-0401-z.